Local governments and businesses in Subic and Olongapo in Zambales are lamenting about lost revenues due to an order prohibiting American soldiers to enjoy rest and recreation during Balikatan 2015. The annual Balikatan joint military exercise between Filipino troops and their American counterparts has formally commenced on Monday (April 20). But this time, the US soldiers (some 6,000 of them, up from 2,500 last year) who are participating in the activity are not allowed to disembark from their ships during the entire duration of the operations (until April 30). This is in direct connection to the ongoing case involving US Marine Joseph Scott Pemberton who is accused of killing Filipino transgender Jeffrey ‘Jennifer’ Laude on October 11, 2014. The order for American soldiers not to enjoy R&R (rest and recreation) during Balikatan 2015 came from the US Naval Command and is expected to take effect until the controversial murder case is resolved. But this is taking its toll on the economy of Subic and Olongapo. According to estimates, up to P54 million in revenues is being lost on a daily basis in Olongapo alone. The city’s local government is already lamenting about the lost opportunity for businesses in the area. The Subic Bay Metropolitan Authority (SBMA), on the other hand, estimates that it has already lost about $2 million (P88 million) since the issue started last year. Most local businesses within Subic and Olongapo have already been bearing the impact of the controversial murder case to their revenues. Since news about Laude’s death erupted, many American soldiers in the area have not been going down from their vessels to eat out, shop, or even book accommodations in local hotels. This is another hot topic for debate these days. 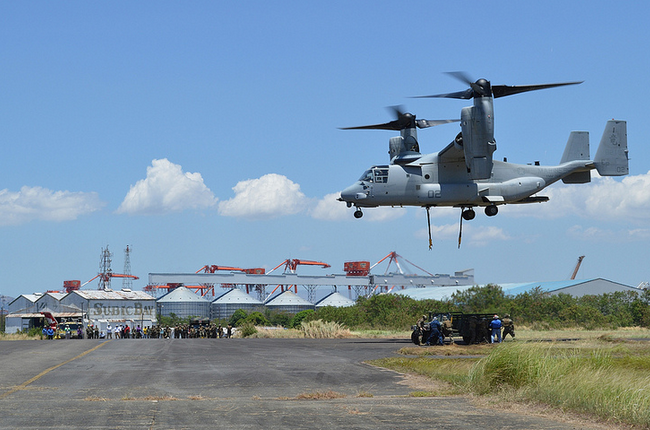 Will it serve the American troopers right if they are not allowed to leave their vessels during Balikatan 2015? Is it just right for the local governments and businesses in the area to lament about lost income opportunities from this ban? What should local businesses do? Please feel free to join the discussions in the special Forum thread we created. Follow this link (you may first need to register for an account for free if you still don’t have one).